Mark Zuckerberg could soon make a rare appearance on the witness stand. The CEO of Facebook (FB) is set to testify in a Delaware courtroom on Tuesday in response to a lawsuit by Facebook shareholders over a proposal intended to maintain Zuckerberg's iron grip on the company. The case shines a light on a growing trend in Silicon Valley of handing unfettered control to founders. At stake: whether Facebook remains firmly controlled by Zuckerberg even as he sells off shares to fund his philanthropy. In late 2015, Zuckerberg and his wife, Dr. Priscilla Chan, pledged to give away 99% of their Facebook shares to the Chan Zuckerberg Initiative. The philanthropic effort is focused on curing diseases and improving education. But the arrangement threatens to weaken Zuckerberg's control. Last April, Facebook's board approved a solution that included issuing a new class of non-voting stock, called Class C. The move is effectively a stock split, with all shareholders receiving two new Class C shares for each A or B share they own. Zuckerberg would then be able to sell off more of the non-voting C shares, while holding onto enough of the A and B shares with voting rights to keep control over the company he founded. "I'll be able to keep founder control of Facebook so we can continue to build for the long term, and Priscilla and I will be able to give our money to fund important work sooner," Zuckerberg wrote in a post last year. 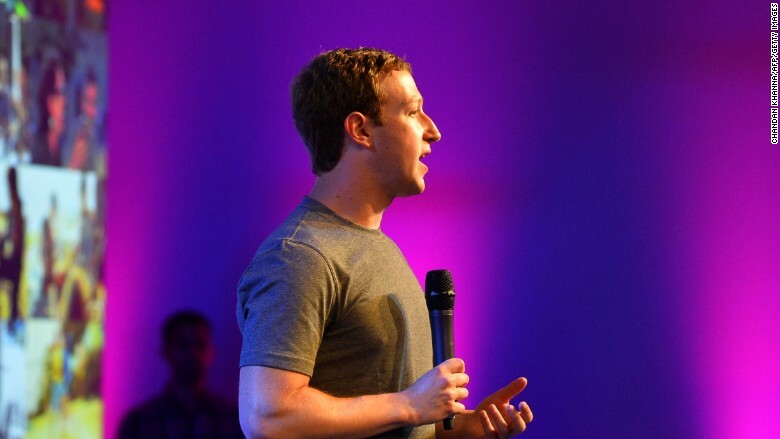 The proposal was quickly met with a class action lawsuit, which alleged Facebook's board had breached its fiduciary duties by "favoring Zuckerberg's interests" over the interests of shareholders. This case is said to mark just the second time Zuckerberg testifies as a witness. He previously testified earlier this year over a lawsuit against Facebook-owned Oculus -- a case Facebook lost. Stuart Grant, the attorney representing the shareholders in the dispute, didn't mince words. He suggested Zuckerberg's limited courtroom experience puts him at a disadvantage in this case. "That gives me an advantage because I've been doing this for 30 plus years," Grant told CNN Tech. "If we were sitting down to do coding together, I'd bet on Mark, but we're not coding." According to the complaint, Zuckerberg told the board in August, 2015 that he was concerned about losing control of Facebook by donating or selling stock. This prompted the board to establish a special committee to review alternative voting structures. The committee, staffed by three board members, "appears to have given Zuckerberg exactly what he wanted with little to no thought about the public Class A stockholders," according to the complaint. Some of Facebook's high-profile board members, including investor Marc Andreessen and former White House chief of staff Erskine Bowles, may also be forced to take the stand in the trial next month. A source familiar with the matter said Facebook's legal defense will stress Zuckerberg already had control before, but the new share structure "ties his hands" more. The reason, as Facebook explained last year, is the new structure "would be based on Mark's maintaining an active leadership role at Facebook." "Facebook is confident that the special committee engaged in a thorough and fair process to negotiate a proposal in the best interests of Facebook and its shareholders," a spokesperson for Facebook said in a statement. Whatever the outcome of the case, it once again spotlights a potential clash between public market investors and the tech industry. In 2012, Google (GOOGL) shareholders approved a similarly unconventional share structure, which ensured its two founders could maintain control. When Snapchat's parent company went public this year, it gave shareholders no say over how the company is run. "It's the view in Silicon Valley that they have a unique approach to things and that approach needs to be insulated from those of us who are not as inspired," says Charles Elson, director of the John L. Weinberg Center for Corporate Governance at the University of Delaware. Facebook echoed this thinking in its original announcement about the new share structure: "This is not a traditional governance model, but Facebook was not built to be a traditional company." The danger, according to Elson, is a lack of accountability at the top. "It's basically protecting the prerogative of the founder," he added, "which is not a good idea because everyone needs to be accountable."